London Beer Week is something I’ve heard of, but not something I’ve given more than a passing thought to. Why you ask? Because to be honest with you, I don’t really like beer. Actually I suppose, that’s not completely accurate, it’s not that I don’t like beer, it’s just that I don’t drink it. It’s like those friends from school you still acknowledge when you see them, and get on fine, but you don’t really go out of your way to meet. That’s me and beer. 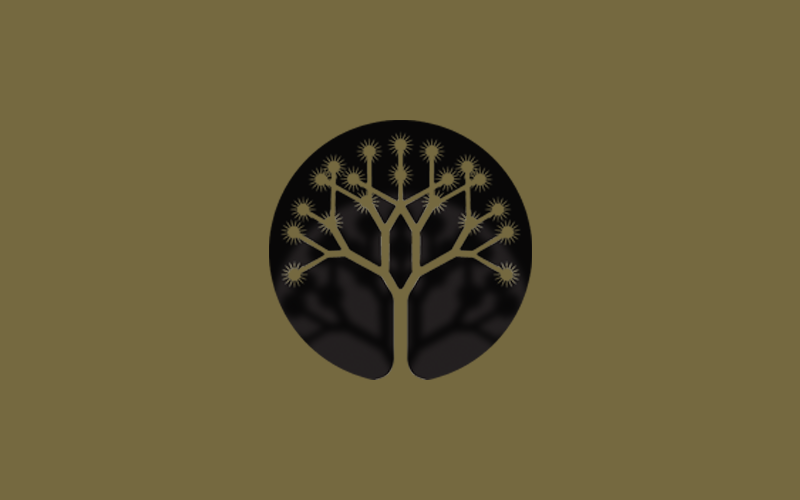 In some ways it’s a shame; I mean I chose to stop drinking beer just as things were heating up, a true revolution, or revival if you will, with the variety of new incarnations being spawned by the week, and some – dare I say it – I could even grow to like. 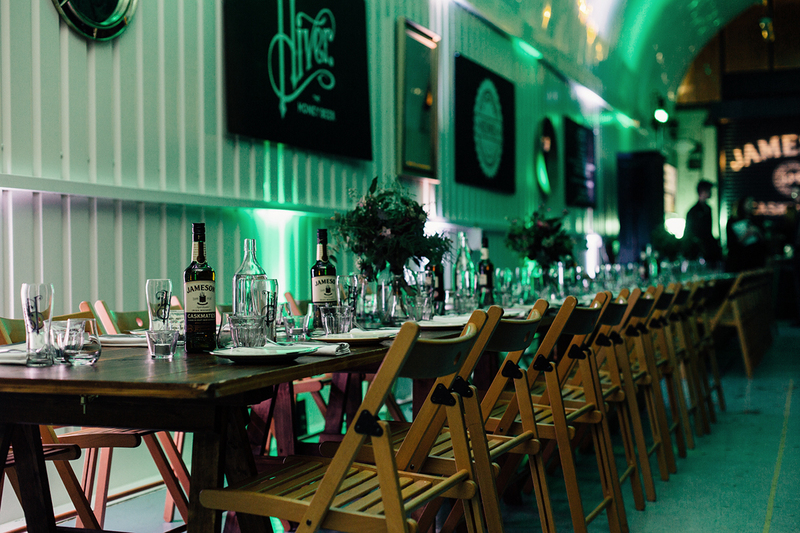 That said in calling this particular dinner a ‘beer event’ was cheating somewhat as the entire evening was underpinned by The Irish Distillers’ champion, Jameson Whiskey. 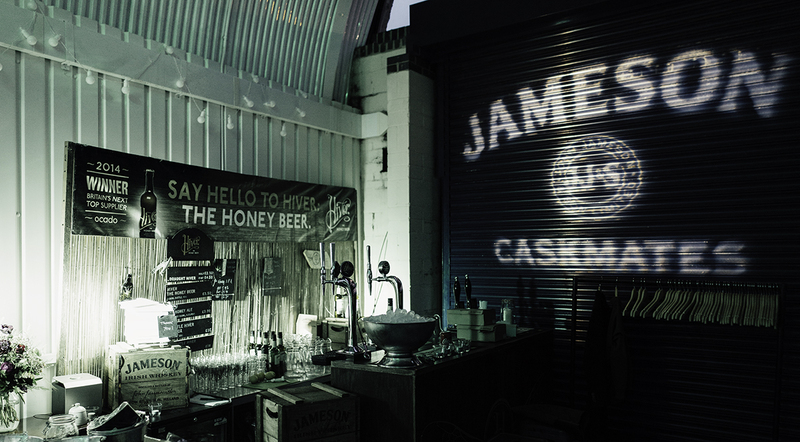 Jameson Caskmates – a whiskey aged in stout-seasoned barrels – celebrated the partnership of beer & whiskey with a sponsorship of London Beer Week and an immersive night of food, drink and entertainment. “A strange pairing, whiskey and beer” I thought to myself, as I but to revisit my previous analogy, sometimes old friends and new friends surprise you and get along better than you can ever have anticipated. This was certainly one of those times. This story begins in Ireland (of course) when an ‘unlikely’ friendship between the Head Brewer at Franciscan Well, Shane Long and Jameson Master Distiller, Brian Nation was kindled. 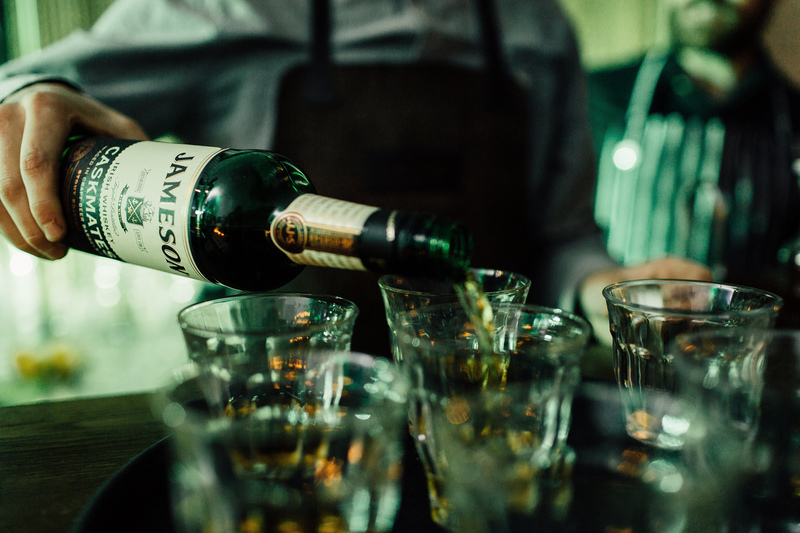 Through a chance meeting in an Irish pub (and I’m assuming after a couple of drinks) Brian and Shane discussed the idea of ageing Jameson whiskey in the Cork brewer’s stout-seasoned barrels… Quite. As it happens, after six months of trialling and scrupulous testing they discovered a couple of gems; a whiskey enhanced stout, and at stout ‘distilled’ whiskey. 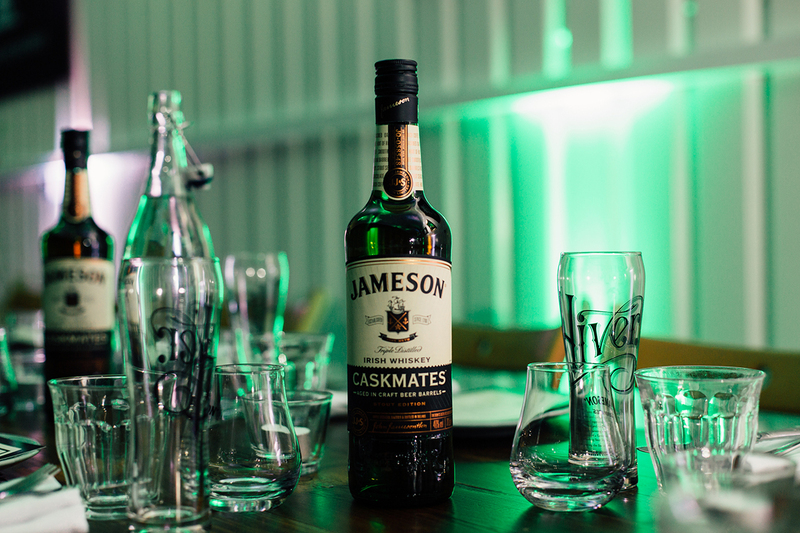 This resulting whiskey was called Jameson Caskmates; Cask-mates because after all it was friendship that kindled this partnership. Fast-forward to 2017 at the London Beer Week event and I’m now experiencing said stouted whiskey an immersive tasting. 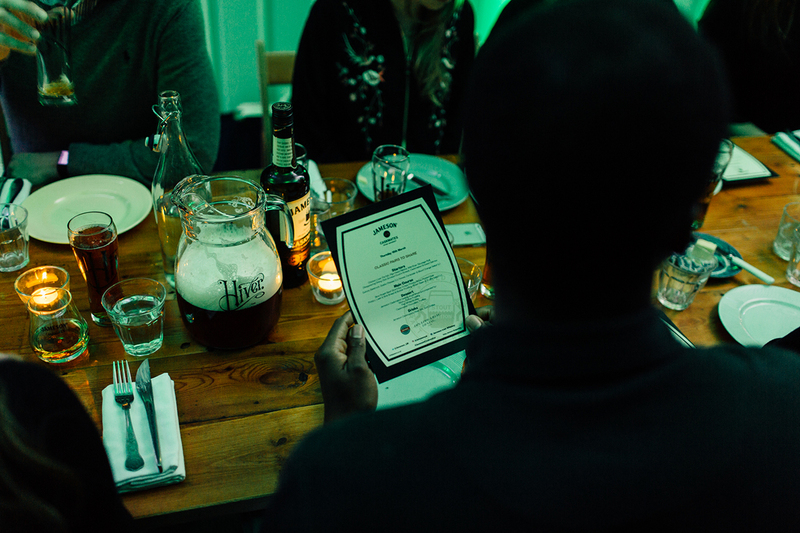 Furthermore, it wasn’t just the beer that was paired, with food being provided by the Disappearing Dining Club complementing the stout Irish liquids on display. Nose: The initial aroma of freshly mown hay is complemented by a crisp orchard fruit character, green apples and pears along with a twist of lime zest. Mild pot still spices appear, deepening from green tea to hazelnut and milk chocolate. The lingering hop influence combines effortlessly with toasted oak and barley grains to form a solid base. Taste: As expected, there is the initial sweet mouth coating typical of the Single Pot Still Irish Whiskey inclusion. Then the effect of the beer cask finish becomes apparent with the subtle touch of hops and cocoa beans. Some marzipan and charred oak add to the complexity. While my experience did convince me that I could have a beer with my whisky as a chaser and that stout-infused whiskey was to be experienced, my preferred method for whiskey consumption remains; quite simply whisky, and a glass. 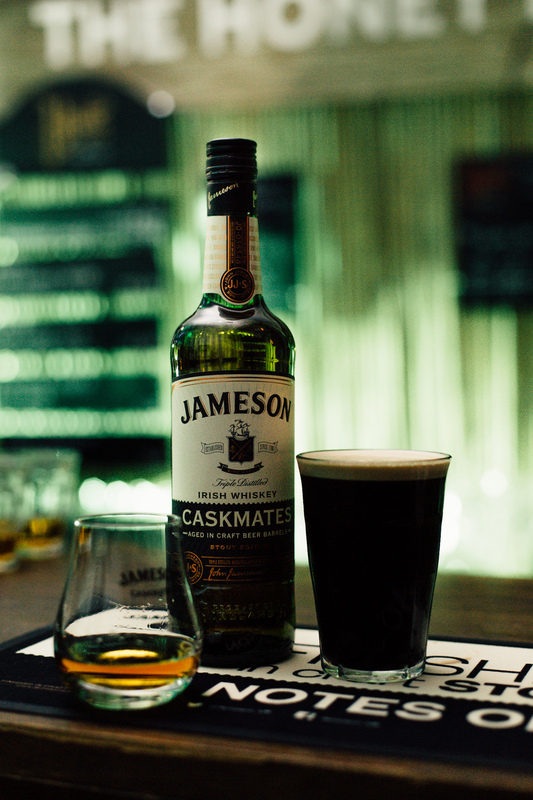 That’s the good thing about Jameson Caskmates, while the stout casks add notes of coffee, cocoa, butterscotch and a gentle hint of hops, the whisky retains the triple-distilled smoothness for which Jameson Irish Whiskey is renown. At my table rested an empty glass alongside which was a bottle of Jameson Caskmates. The said I should help myself, and so I did. Jameson Caskmates is now available to buy from The Whisky Exchange for £25.95.